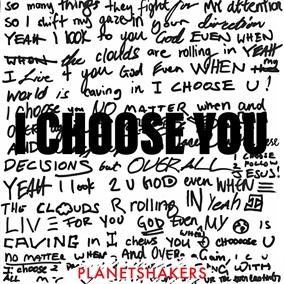 Planetshakers - "I Choose You"
Internationally recognized worship team Planetshakers announces the release of their new EP Rain, Pt. 2 today. Available for preorder now, the new five-song digital EP was recorded at Planetshakers Conferences in the Philippines and Malaysia in January and features over 29-minutes of music. “I Choose You” from Rain, Pt. 2 is out now. The song, which is led by Joth Hunt, declares that God is the one to look to, no matter the circumstances. Original Master MultiTracks, Charts, and other worship-leading resources for "I Choose You" are now available.